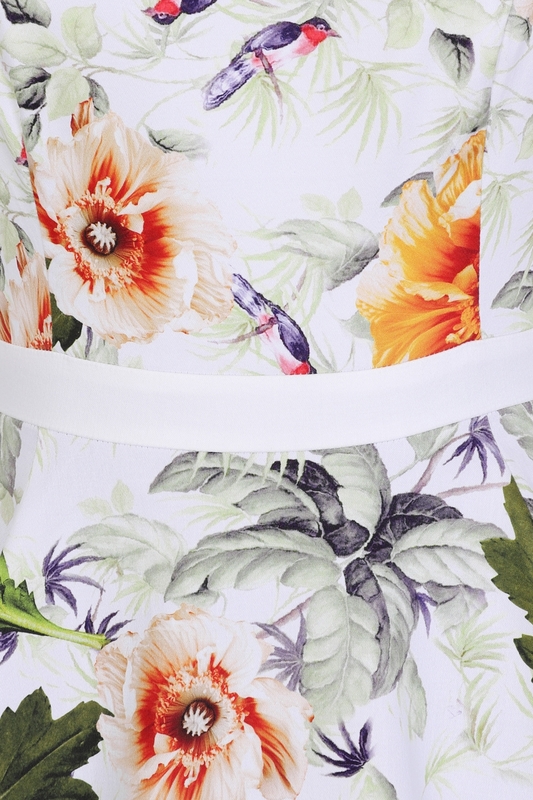 H&r London’s Floral Prints Remain Key To The Heart Of Our Brand. 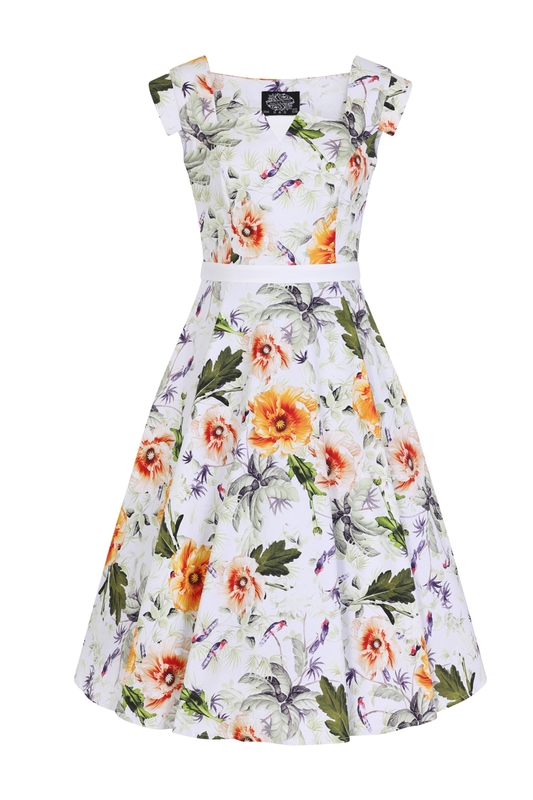 What A Charming Dress With A Captivating Print Of Yellow And Orange Primrose Flowers, Green Leaves, And Cute Little Birds. 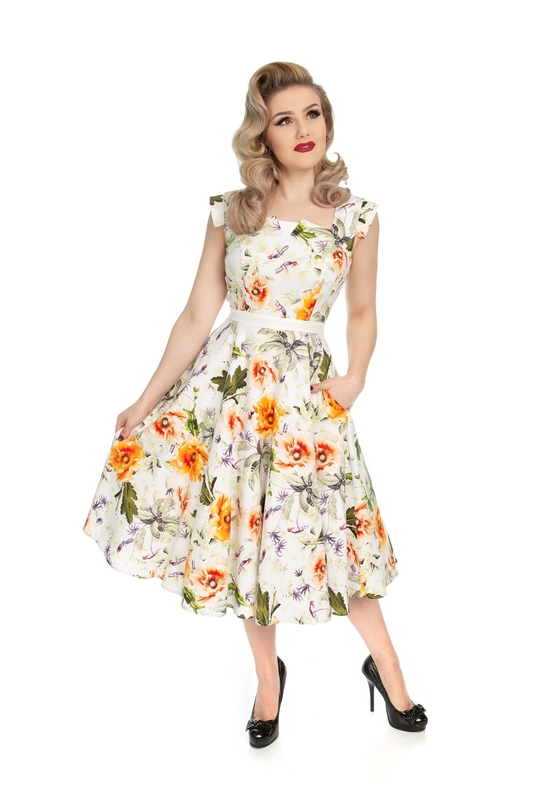 The Fitted Bodice Features A Square Neckline, With AV Panel Detail Using A Contrast White Fabric. 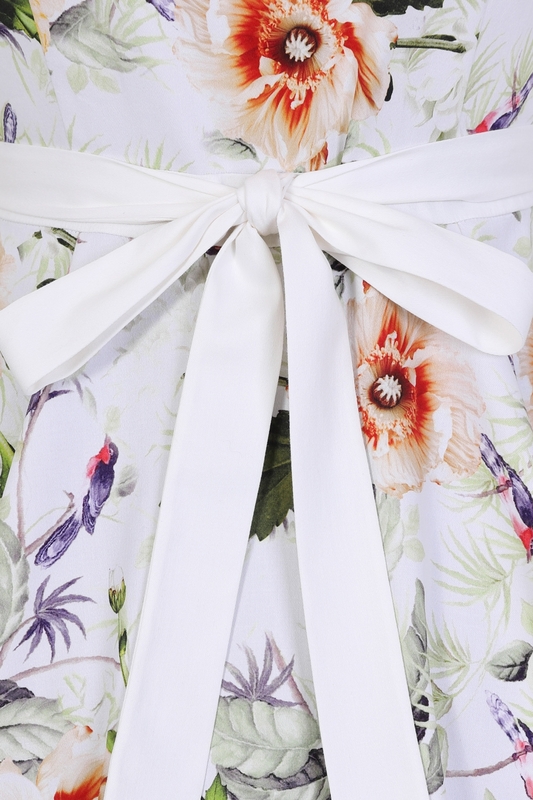 This Contrast White Fabric Is Also Seen On The Waistband Which Finishes Off As A Tie Belt. 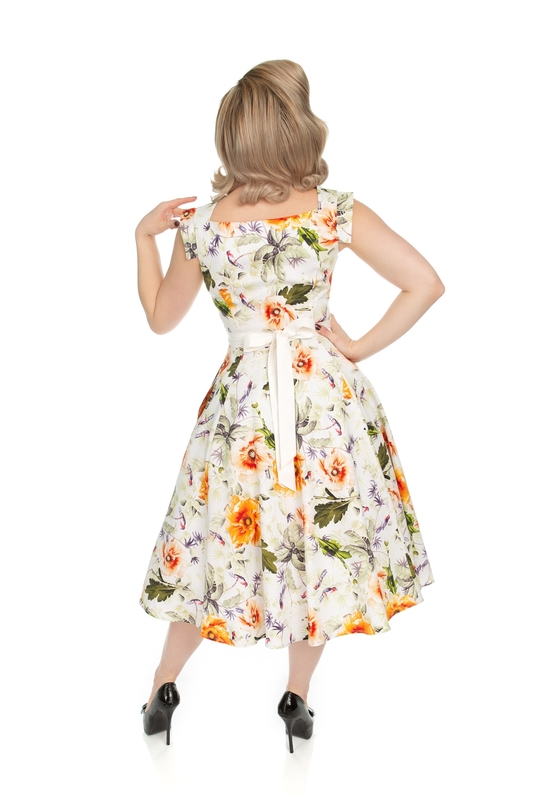 Not To Forget The Paneled Detail On The Shoulder, Which Adds A Touch Of Elegance And Grace. Why Not Add A Petticoat Underneath For A Little Lift! 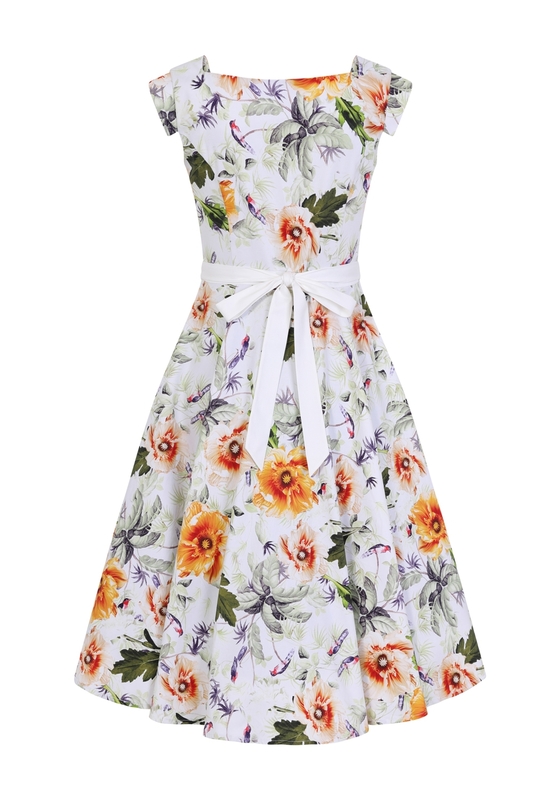 Come Rain Or Shine, Go Ahead And Flaunt This Beautiful Style!